Our service team at Ross Tire & Service in Lafayette is top notch. Up front in our sales team we have over 60 years of experience in handling customer vehicle problems. This helps us to accurately and efficiently get your problem solved so that you can be back on the road in the soonest possible time. Visit us and you will see how our experienced professionals can make a difference for you. 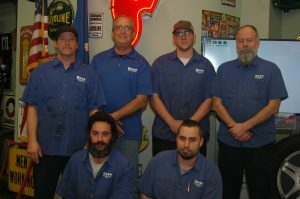 At Ross Tire & Service our technicians and helpers are very experienced and trained. They are led by a 40 plus year experienced Service Manager. With this experience and training, you can rest assured that your job will be done to specification and to your satisfaction. All of our work is inspected to ensure correctness and to get you back safely on the road. Matt is the Office / Sales Manager at Ross Tire & Service Lafayette. Amongst his other duties, Matt is primarily in charge of caring for customers when they arrive. There is a good chance that Matt will meet with you and take care of you and your vehicle when you arrive. Over his 8 years of working at Ross Tire & Service, Matt has built many relationships. On your repeat visits, Matt will know you by name and continue to provide expert care to you. 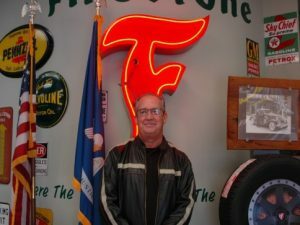 Charles is the General Manager at Ross Tire & Service Lafayette. Charles has been with the company since 1998. You will likely see Charles at the front desk when you walk in. With his vast experience at Ross Tire & Service you can rest assured that he will take good care of you and provide the service you need – no more, no less. Charles can also help you with a variety of other things you need while you are at the store. Jay is the Service Manager at Ross Tire & Service Lafayette. 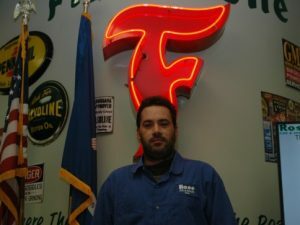 Jay is very versatile as you will see him up front with customers and in the shop with his technicians and helpers. Jay is ASE certified and has been in the automotive business for over 40 years and brings a wealth of knowledge pertaining to vehicle service. 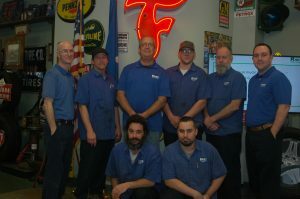 Jay and his team will diagnose and repair just about any problem with any vehicle. So, bring your challenging automobile problems to Ross Tire & Service and let Jay and his team take great care of your vehicle. Bill is one of our technician helpers at Ross Tire & Service Lafayette. 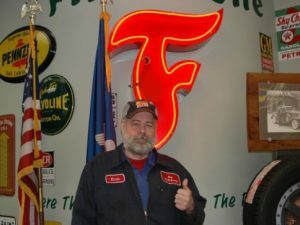 Bill has over 30 years of mechanic, automotive, and tire installation experience. Chances are if Bill cannot fix or mount your tire, it cannot be done. His attention to quality along with his speed set him apart from others. 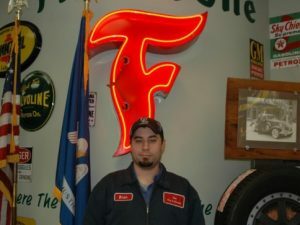 Brian is one of our automotive technicians at Ross Tire & Service Lafayette. 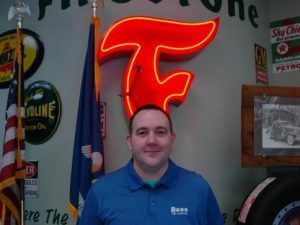 Brian has been on staff at Ross Tire & Service for a total of 5 years plus other experience outside of Ross Tire & Service. Brian’s specialty is front-end alignments. 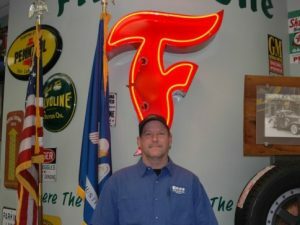 Kevin is an automotive technician at Ross Tire & Service Lafayette who is working on 19 years with us. His total experience in the automotive field is over 30 years. Kevin has worked his way up through the ranks of various mechanic positions to where he is today. 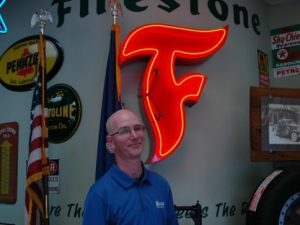 His long tenure with Ross Tire & Service gives him a unique perspective on the company’s quality and service standards that our customers have come to expect. 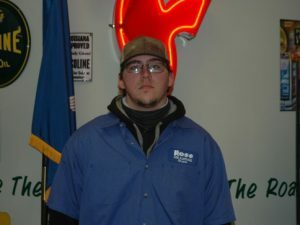 Alex is one of our automotive technicians at Ross Tire & Service Lafayette. Alex joined us in mid 2018. He has been working as a mechanic since 2002. He holds certifications in ASE and MACS. His specialties are suspension / steering, and A/C work. We feel that Alex with strengthen our already strong team at Ross Tire & Service. Meet Bryant Matthews. 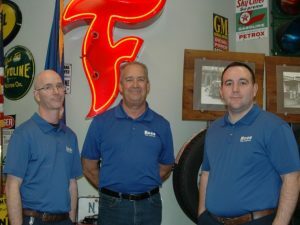 Bryant started late summer 2018 with Ross Tire & Service. He is a technician helper who brings some experience to our team. He has worked at other auto maintenance shops for a few years prior to working with us. He provides some good working knowledge and high energy to our team.